I received a copy of this book from the publisher in exchange for an honest review. All thoughts and opinions expressed here are my own. You ever read the blurb of a book and immediately know you would love it? If, Then was one of those books for me. And to make it even more enticing, Kate’s NYT article on all the lives we never lived made me all the more excited to get my hands on the book. Needless to say, I went in with a lot of expectations. Read on to find out if they were met. If, Then is about three families who reside in a cul-de-sac in the sleepy town of Clearing, Oregon, where a dormant volcano looms tall in the background. Each of the main characters undergoes the same problem–a quick shake of the ground, a metallic taste in the mouth, and they see a parallel reality right before their eyes. For Ginny, the married Chief of Surgery and mother of a preteen, it’s a vision of her in bed with her female coworker. Ginny’s husband sees himself broken, gaunt, and living in the woods. Samara sees her dead mother walking again. Cass, the harried new mother who’s already worried about finishing her Ph.D., sees herself falling pregnant again. Why this spillover from parallel universes is happening and how the characters even begin to comprehend what’s happening to them forms the rest of the story. If, Then works because of its interesting premise. It combines just the right amount of literary fiction with speculative fiction/sci-fi and I’m sure both camps would love to read this book. Being from the former, I loved reading about how parallel universes can mess with the heads of suburban families and bring more dysfunction into them. Reading this book, it’s fairly obvious that mapping characters is Kate’s strongest suit. The characters are all unique and they’re the main accelerators of the plot. This is an out and out character-driven book. It wasn’t all positives, though. One of my biggest problems with the book was the Mehtas. Samara and her late mother Ashmina Mehta both were the token brown characters of this book. While their names sound Indian/Pakistani, if you replaced the names with Western ones, it would make no difference in the story. Other than their names and a brief mention of a saree, there was nothing brown about these characters. Even worse? The names chosen. Ashmina is of Arabic origin. Samara is of Hebrew origin. And Mehta is Hindu, Jain, Parsi, or Sikh. How did these names get together? There could have been a beautiful story behind this but we never get to hear it. And that just didn’t sit well with me. Diversity for the sake of diversity and perfunctory tokenism is not cool and that was a big let down for me. More meat to the story and less perfunctory tokenism would have made this an even more enjoyable read for me. 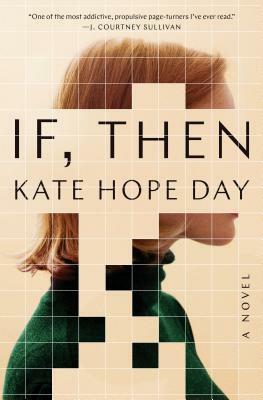 But I do know this–Day has a dynamite writing voice and should definitely stretch her literary fiction legs more, preferably with actual diversity instead of token characters.